Football’s biggest moment is almost here. As the Philadelphia Eagles face the New England Patriots, your calendar will be brimming with gatherings to watch the big game. Whether you’re a sports fanatic or just a socialite on the sidelines, don an outfit that represents your team of choice. This year will be the Philadelphia Eagle’s third time competing in the Big Game. While the Eagles have yet to be victorious, analysts feel they may come out on top as victors. Of the team’s palette of colors, midnight green is a striking and serene favorite. Rock the teal-toned hue at your game day party and be a true MVP. Topshop’s relaxed button side sweater will keep you cozy as you cuddle up during the halftime show to watch Justin Timberlake take the stage. 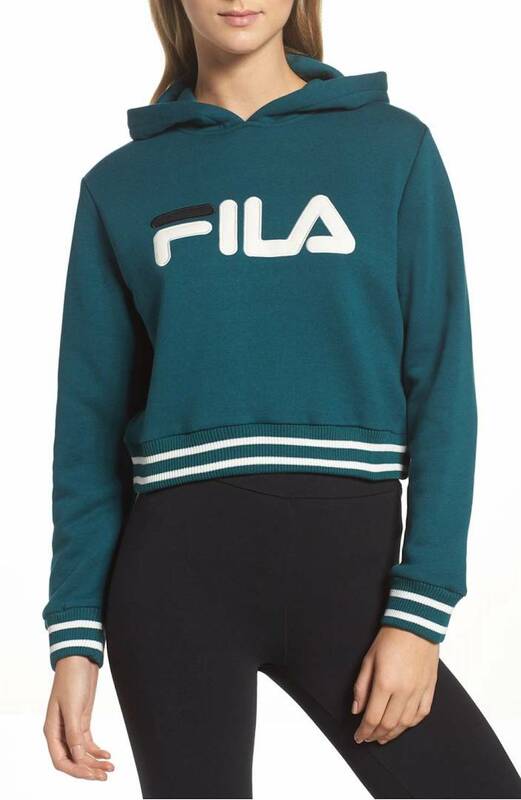 With a cropped hem and retro FILA logo, this throwback hoodie is an athleisure touchdown. Players may be rough on the field, but it doesn’t mean your look has to match. Give midnight green a feminine feel with a sporty raglan dress. 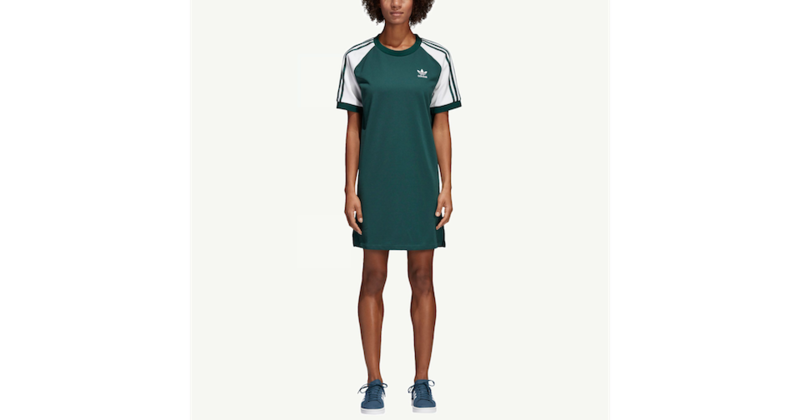 The shirtdress features classic Adidas. Go gray in Ivy Park’s loose-fitting crop top in charcoal jacquard. We promise, your Big Game look will be Beyoncé approved. Tommy Hilfiger’s classic varsity bomber adds a vintage appeal to your watch party wardrobe. Toss this gray and black jacket over a midnight green raglan or Eagles T-shirt. The Patriots are no strangers to championships. The Pittsburgh Steelers currently hold the most titles with six won championships, but the Patriots may soon cause a tie. The five-time title holders will be up for their sixth potential big win this season. Bring your patriotism with a fashionable touchdown as you watch the points rack in. Dress comfortably, sportive and chic this football season. J. Crew’s 1984 Rugby shirt is the perfect fit and style to wear to a Patriots bash. Spending hours on the couch sending starry-eyed gazes to Tom Brady is better when dressed to the nines. Preppy fashion emerged from New England, so it’s only natural to rock your Ivy League-ready frock on game day. Represent the region with a classic colored shirt dress in deep navy blue. For an extra dose of WASP-inspired style, add a nautical striped sweater to your waist or shoulders. 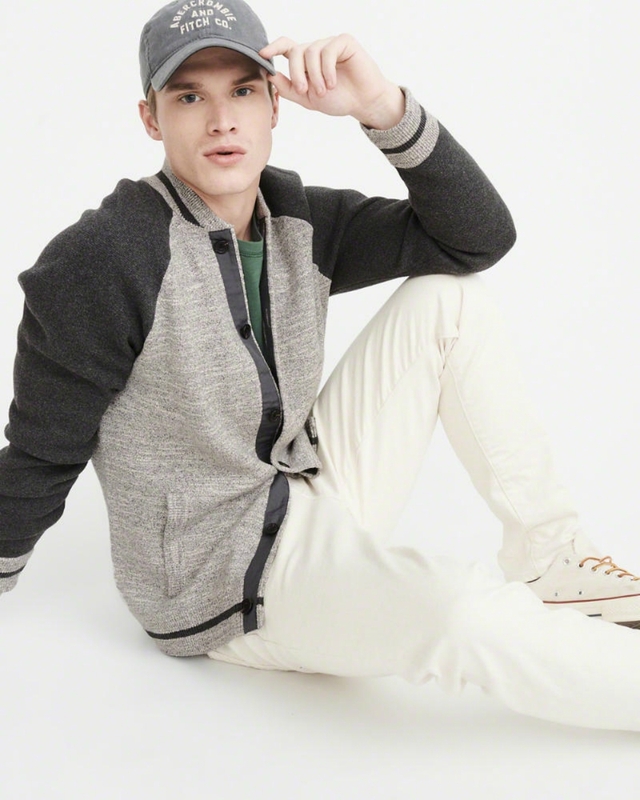 Tommy Hilfiger’s laidback sweatshirt wins trophy for a winning game day look. It’s possible to represent the Patriots color palette without looking a version of Betsy Ross’ American flag. The relaxed sweater features athletic lines and spirited colorblocking, making it the perfect athleisure wear for the game. Add modern edge to your Patriots fan pride with this graphic Lacoste T-shirt. 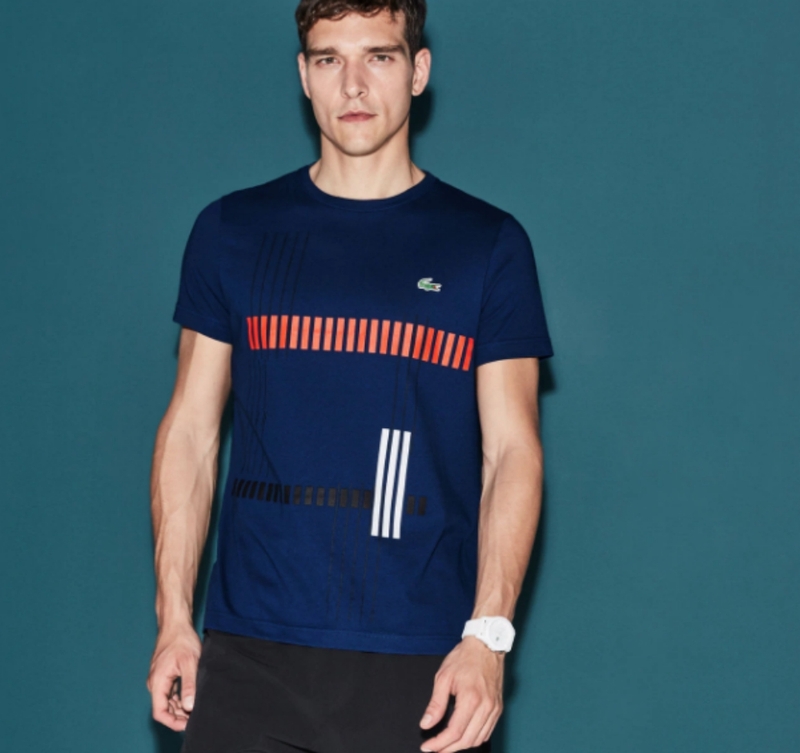 High performance and a high profile with the breathable technical jersey and graphic design of this Lacoste Sport Tennis tee. Makes training effortless.